Easy, Cheesy Nutrition for Kids recipe. KRAFT Singles is a proud supporter of Kids Eat Right. Cut apple into 4 rings; discard core. Cut each 2% Milk Singles into 4 triangles. 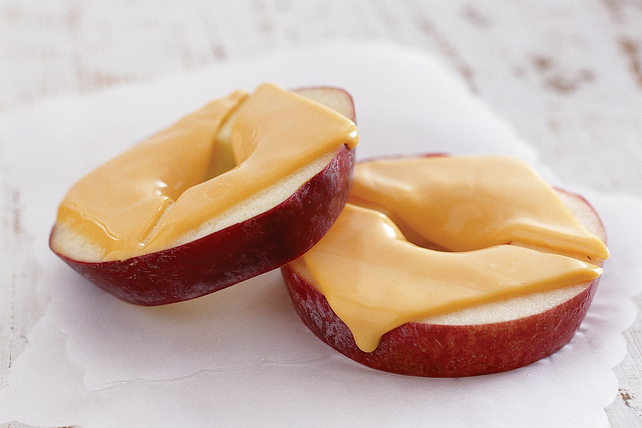 Top each apple ring with 2 Singles triangles. Place on microwaveable plate. Microwave on HIGH 30 sec. or until Singles are melted. Use a melon ball scoop to remove the core from the sliced apple rings.